Our creamy-white lightweight aggregate with bulk densities starting at 190 kg/m³ is 100 % mineral, free of broken grains and available in different grain sizes from 0.04 mm to 4 mm. With Poraver® expanded glass, industrial products become more lightweight, more economical and easier to work with. The unique combination of positive features and benefits makes Poraver® versatile. 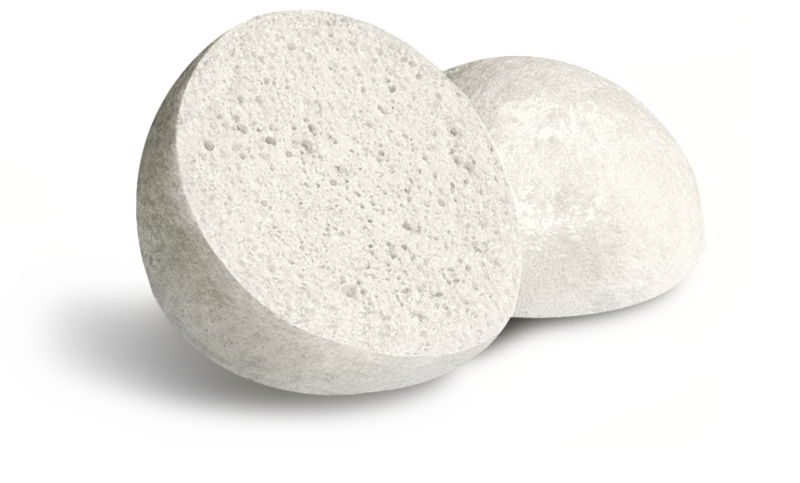 WHAT ARE PORAVER® EXPANDED GLASS GRANULES? Poraver® expanded glass granules are available in seven grain sizes from 0.04 mm to 4 mm in bags, big bags (FIBC) or loose bulk material. Numerous companies in a variety of industries already rely on the advantageous features of PORAVER® for optimizing their premium products.